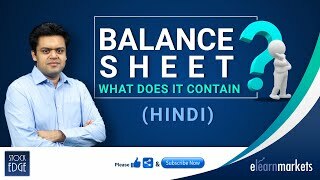 How Balance Sheet is important in Financial Statement? A balance sheet is a financial statement of a company which summarizes company's assets, liabilities and shareholders' equity at a point in time. These three segments give investors an idea as to what the company owns and owes, as well as the amount invested by shareholders. In simple words, it is a snapshot of your business financial position. Read the full article here: How to Analyse Financial Statements of a Company? 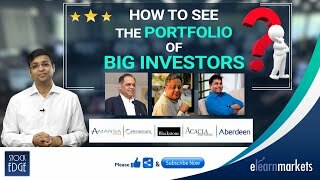 How to see the portfolio of BIG Investors? Learn how to find out the investment portfolio of big popular known individual investors including mutual funds investment portfolio, foreign portfolio investment using #StockEdge app. 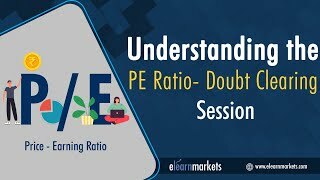 The video discusses how to identify the portfolio of ace investors. Foreign Portfolio Investor (FPI), Foreign Institutional Investors (FII), Mutual Funds and High Networth Individuals (HNI). Stockedge has a 3 level feature which can give you a view of the portfolio of investors. We are giving you a platform where you can create a group of individuals and you can get a list of the stocks that the ace investors are holding. The output will give an understanding of the kind of investment philosophy the big investors deploy in Indian stock market. 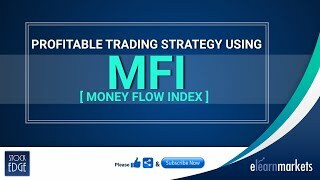 Scan Stocks Using MFI (Money Flow Index) using StockEdge- In this video, we have explained you in detail about how to scan stocks using StockEdge App. The money flow index is a momentum indicator that measures the inflow and outflow of money into security over a specific period of time, in this case, 14 days. MFI uses a stock's price and volume to measure momentum, it is hence referred to as a volume-weighted RSI. 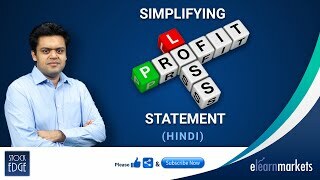 Simplifying Profit and Loss Statement in this video. A profit and loss account is an account in the organization's books in which incomes and gains are credited and expenses and losses are debited. This shows the net profit or net loss. If the incomes and gains exceed the expenses and losses, then it results in net profit. Net loss is when the expenses and losses exceed the incomes and gains. It is one of the most important documents which keeps an eye on the financial health of the company. Balance Sheet- What does it contain? A balance sheet is the statement of the assets, liabilities, and capital of a business or other organization at a particular point in time. It reflects what the company owes and what it owns and how it employs the resources. The balance sheet reflects the financial strength of a company. In this video, we have explained you all in simple language. How Capital Cycle effects your Investing Strategy? We have tried to explain in this video that after everything looking fine with the company what actually is the problem which is stalling growth. Thus how do we understand what is wrong? Thus let's understand what should be one thing to take into consideration before entering any company. What is Shareholding Pattern of a company? Let’s understand what the shareholding pattern depicts. An increase or decrease in shareholding conveys a positive or a negative outlook about the company. The shareholding norms and rules are defined by the SEBI. What does the shareholding format usually comprise of. What does change in Institutional holding like FII, DII convey. 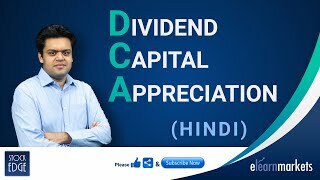 Dividend & Capital Appreciation gives a brief about the meaning of dividend, face value, capital appreciation, dividend yield etc. Whenever an investor plans to invest in a company, he must be aware of the dividend yield and should invest in those companies who make good use of its profits. If the company does not make good use of its profits then it should distribute the same as dividends. Shareholders earn through both dividends as well as capital appreciation. How to prepare Income Statement? The income statement represents financial results of a business for a stated period of time. The income statement is one of the three primary financial statements used to assess company's performance and financial position. Read the full article on Income Statement. What is Financial Modeling and its tools for Valuation of a Company? Financial Modelling involves modelling financial data for decision making. Financial Modelling Skills are applied to variety of scenarios like equity research, project finance, mergers and acquisitions etc. Check out more about Financial modeling and its valuation for better understanding. Know about the Annual Report apart from the three fundamental financial statements a fundamental analyst also analyzes other important aspects of information to properly analyze the fundamentals of the company. The Fundamental Analyst looks at notes to financial statements,independent auditor's report and the accounting policies of the company.Notes to accounts provides detailed descriptions of the different accounting heads of the different financial statements.Accounting policies are the rules,regulations and conventions which the company followed at the time of preparing the financial statements.Independent Auditor's Report is the report of the financial statements of the company by a set of independent auditors. Read the full article: Why we should read Annual Reports? Porter's Five Force Analysis and SWOT Analysis analyzes the fundamentals of a company.Porter's Five Forces are Bargaining Power of the suppliers, Bargaining Power of the buyers Threat of substitutes Threat of new entrants and Industry Rivalry. Bargaining power of suppliers and buyers deals with the power of buyers and suppliers. Industry Rivalry deals with the intensity of competition.The remaining forces deal with threat of new competitors and substitute products .SWOT Analysis on the other hand analyzes the strengths weaknesses opportunities and threats faced by a company. Check the Equity Research Analysis course for better understanding of Porter's Five Force model. There are two different factors of fundamental analysis: Qualitative and Quantitative factors. The qualitative factors are Business Model Competitive Advantage, Management and Corporate Governance, while the quantitative factors are Industry growth Customers Financial Statements and Competition. The qualitative factors are analyzed to answer questions about the business profile, product profile, price profile, the base of its competitive advantage quality and effectiveness of its management; how far is is the shareholder's interests safeguarded. The quantitative factors are analyzed to know about the growth prospects, level of competition size of the customers and the financial statements. 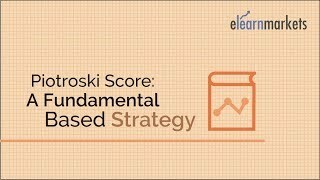 Check the Fundamental Analysis Course for better understanding. The three major categories of factor that influences the price of a share are sentiments, liquidity and the fundamentals of a company. Fundamental Analysis can be defined as the analysis of the fundamentals of the company to determine the intrinsic value of the company's stock. It analyses a number of factors such as business model of the company its competitors the industry financial statements etc to determine the intrinsic value of the stock of the company. Equity research uses this intrinsic value to buy or sell shares. If the intrinsic value is lower than the market price the stock is bought and vice-versa. Read the full article: Why Fundamental Analysis is Important?